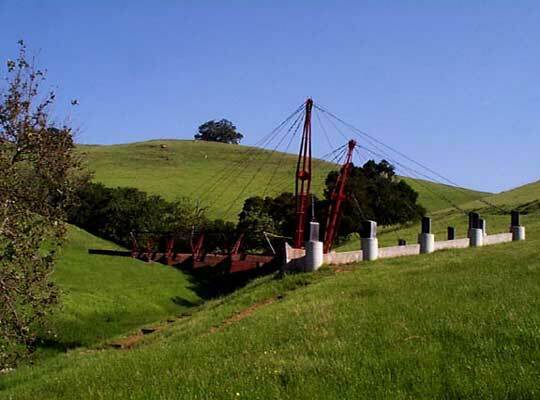 Poly Canyon is located adjacent to the main Cal Poly campus. 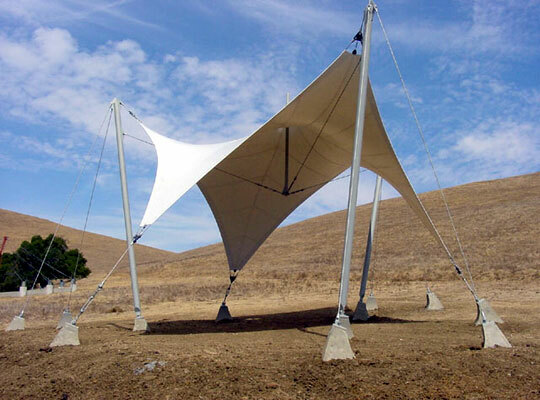 A portion of Poly Canyon encompasses a nine-acre outdoor experimental construction laboratory that for more than four decades has been the host site of several structures designed and built mostly by students of the College of Architecture and Environmental Design. Design Village is held each spring during Cal Poly's Open House in Poly Canyon. Community College, High School, and other students design and build structures and spend the weekend living in their projects. Go to the Design Village web site for additional information. 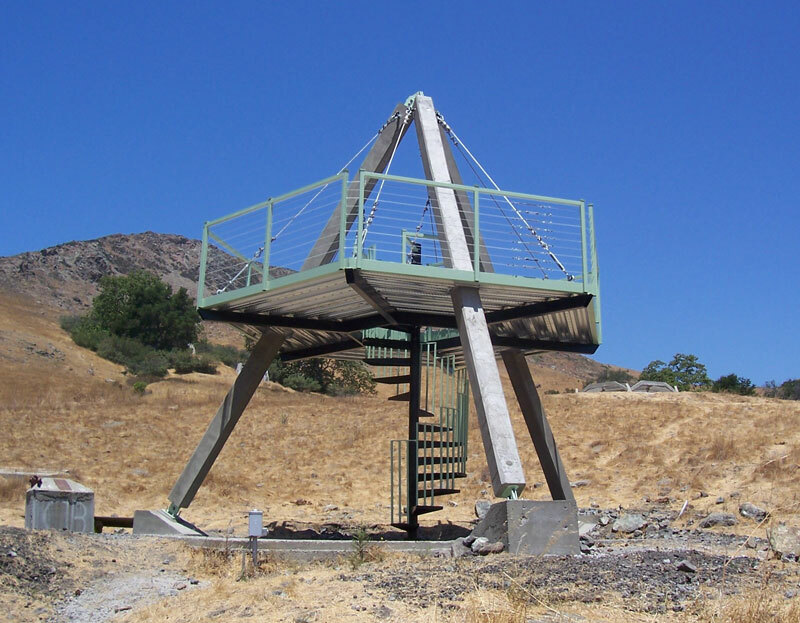 The following images show some of the structures that can be seen in Poly Canyon. Completed in October 2002 as three students' senior project. Materials, labor, and funds were donated by a wide variety of departments, corporations, and individuals. The structure provides shelter to Canyon visitors, and will serve as the community center during Design Village. Five architectural engineering students designed and built the as a senior project in memory of Paul Fratessa S.E., the late department head of the Architectural Engineering Department from 1995 to 2002. The structure was dedicated on October 16, 2004. The team consisted of Rachel Martin, Justin Wei, Michael Braund, Eric McDonnell and Tanya Worotko. Manufacturing engineering senior Adam Stagnaro created the spiral staircase that leads to the center of the raised deck.